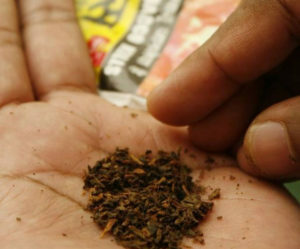 Patna, Jun 10 (PTI) Two years after prohibiting sale and consumption of alcohol, the Nitish Kumar government in Bihar is contemplating a ban on ‘khaini’ (unprocessed tobacco), an official said. The state has written to the Union Health Ministry for intervention to facilitate introducing a ban on khaini, consumption of which is responsible for a number of serious ailments, the state’s principal secretary (health) Sanjay Kumar told PTI. 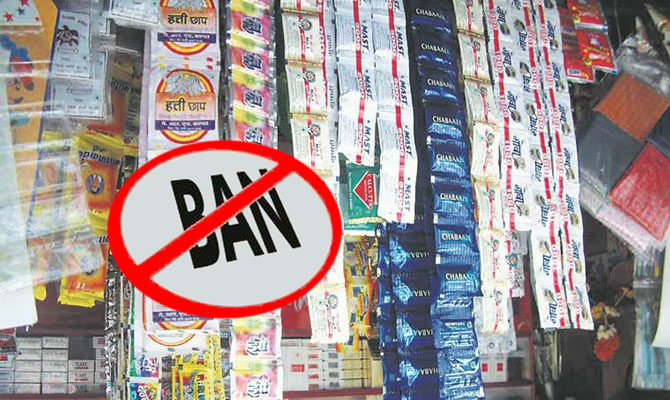 “Pan masala and gutkha are already banned in the state as these are enlisted among food products by the FSSAI. We need to crack down on khaini as every fifth person in the state is said to be addicted to it”, Kumar said. “We have urged the Union health ministry to direct the Food Safety and Standards Authority of India (FSSAI) to include khaini in the list of food products. As per FSSAI guidelines, all food products containing tobacco and nicotine can be banned”, he said. Although the overall consumption of tobacco in Bihar has gone down in the past one decade, there has been little decrease in the proportion of those addicted to khaini. This is a cause of concern and needs intervention, he said. According to the Global Adult Tobacco Survey, conducted by the World Health Organisation, in 2016-17 those consuming khaini stood at around 20 per cent of the total population. Consumption of raw tobacco leads to a number of diseases including mouth cancer and ailments affecting the lungs and the cardio-vascular system, experts said. The proposed move has drawn criticism from some opposition leaders who have alleged that enforcing such a ban will deprive thousands of people engaged in tobacco trade. “We believe it is just a gimmick on the part of Chief Minister Nitish Kumar to hide his non-performance. Will he have the courage to actually ban khaini? Tobacco cultivation provides livelihood to lakhs of people. He will earn their wrath if he moves beyond posturing”, Hindustani Awam Morcha (HAM) spokesman Danish Rizwan said in a statement. HAM is headed by former chief minister Jitan Ram Manjhi, who has been a vocal critic of Nitish Kumar’s decision to ban alcohol. Manjhi has alleged that the state’s prohibition policy has allowed the big fish in liquor trade to flourish while small traders, mostly Dalits, involved in sale and manufacture of country-made liquor or toddy, are being punished under the stringent excise law. The state government has introduced a number of schemes for economic rehabilitation of those who were dependent on manufacture and sale of liquor and have been hit hard by prohibition. Last week, the chief minister had also hinted that efforts would be made to check misuse of the prohibition law by those in the government machinery.